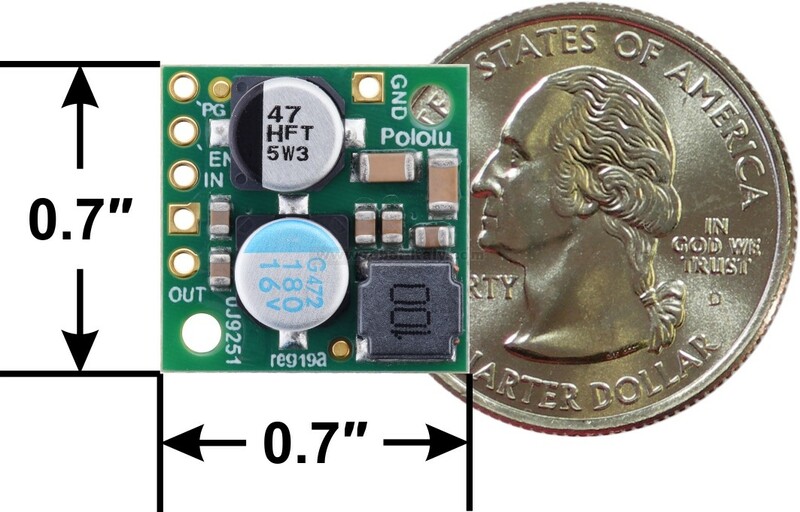 This small synchronous switching step-down (or buck) regulator takes an input voltage of up to 36 V and efficiently reduces it to 9 V.
This small synchronous switching step-down (or buck) regulator takes an input voltage of up to 36 V and efficiently reduces it to9 V. The board measures only 0.7″ × 0.7″ yet delivers a typical continuous output current of up to 2.3 A and features reverse voltage protection. 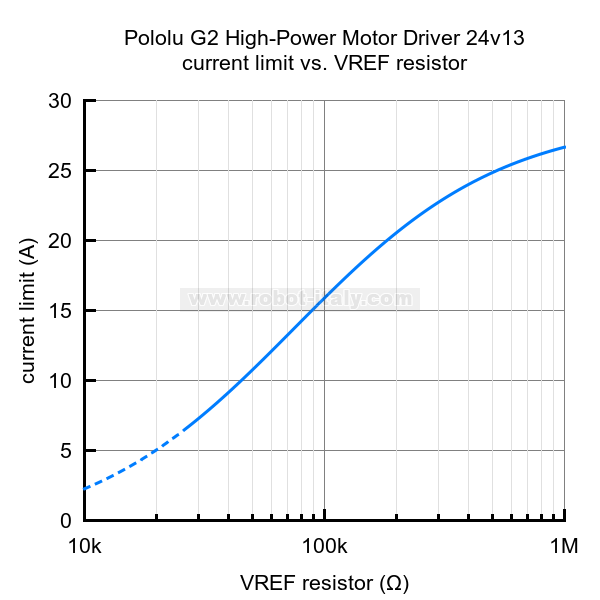 Typical efficiencies of 90% to 95% make this regulator well suited for powering moderate loads like sensors or small motors. 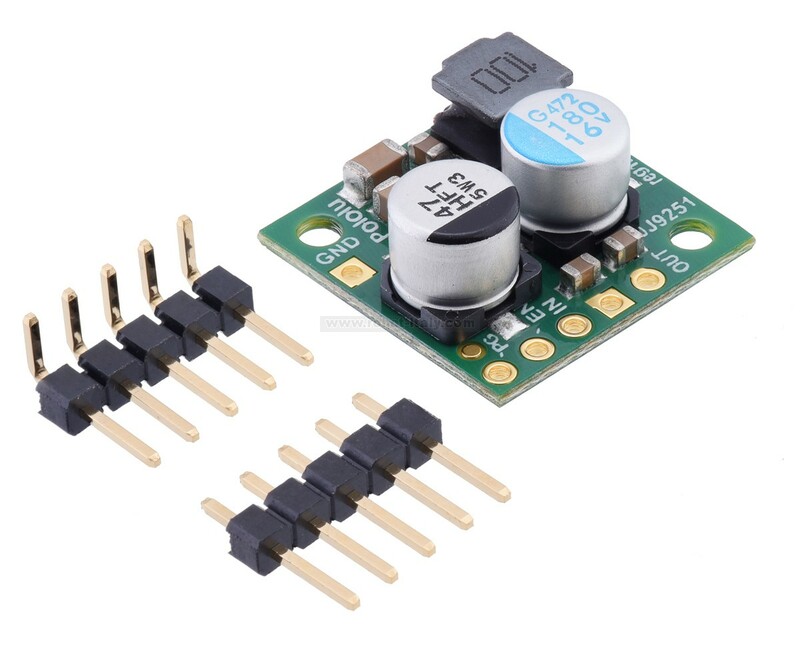 An optional shutdown pin enables a low-power state with a current draw of around 40 μA to 350 μA, depending on the input voltage, and a power-good output indicates when the regulator cannot adequately maintain the output voltage. 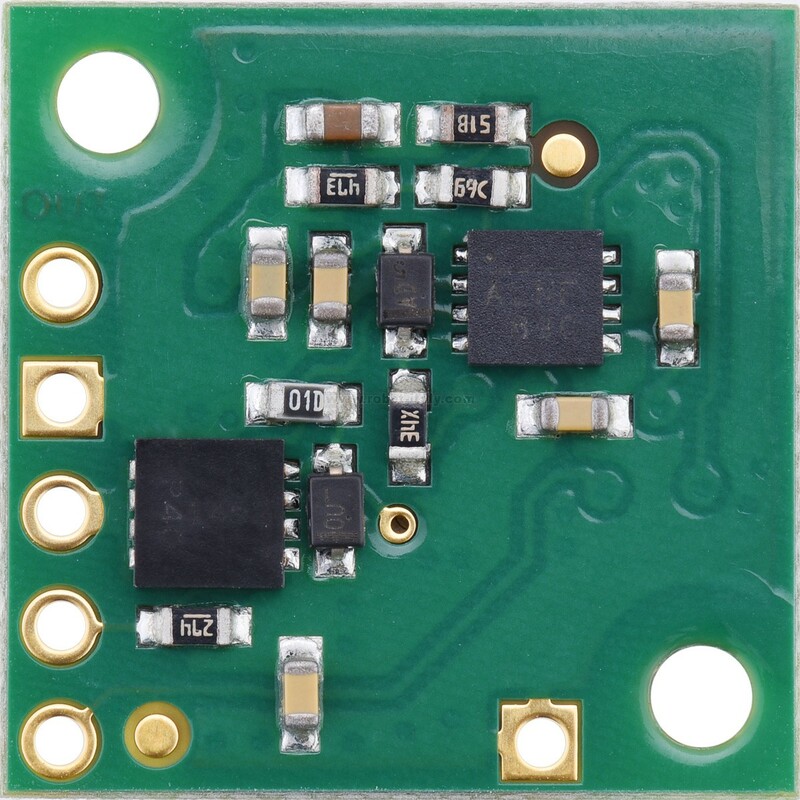 The board has two 0.086″ (2.18 mm) diameter mounting holes intended for #2 or M2 screws. 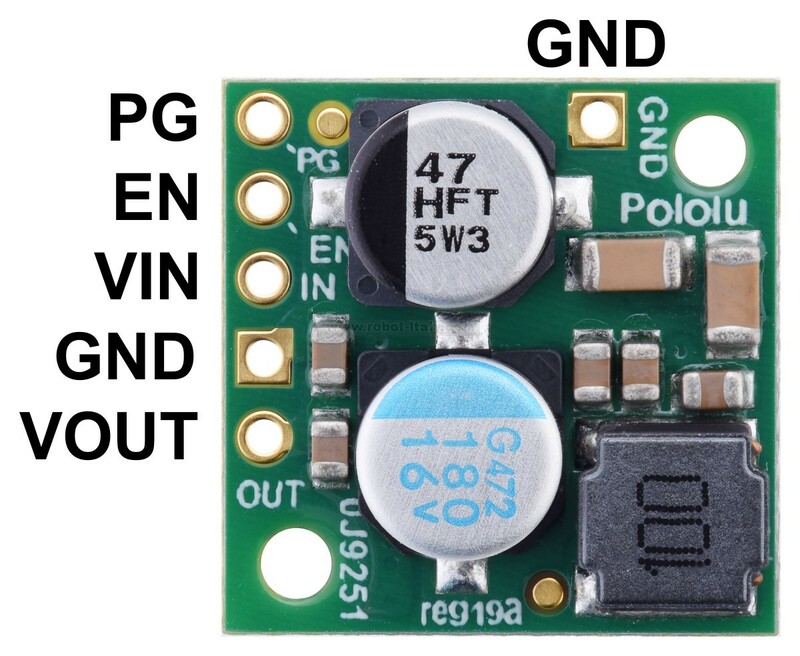 The mounting holes are at opposite corners of the board and are separated by 0.52″ (13.21 mm) both horizontally and vertically. 1 Without included optional headers. 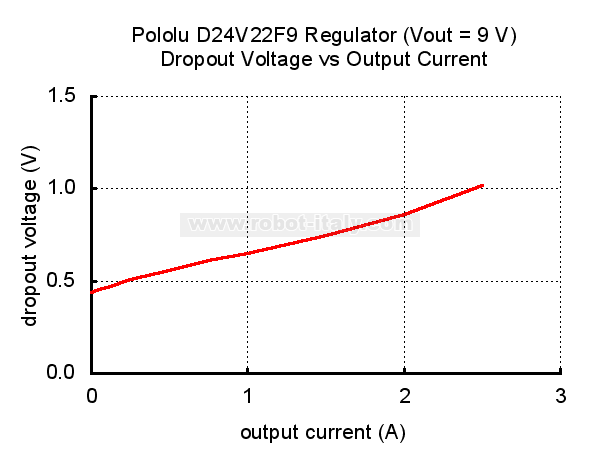 2 For small loads; this voltage rises approximately linearly up to around 10 V at 2.3 A output. 3 Typical. 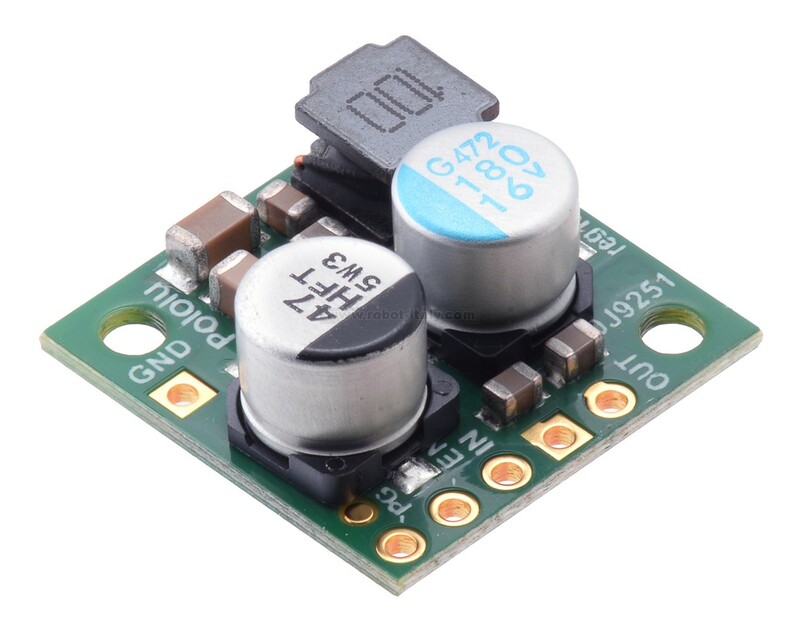 Actual continuous output current limited by thermal dissipation. 4 Typical worst case; quiescent current is typically around 1 mA for most of the operating range. 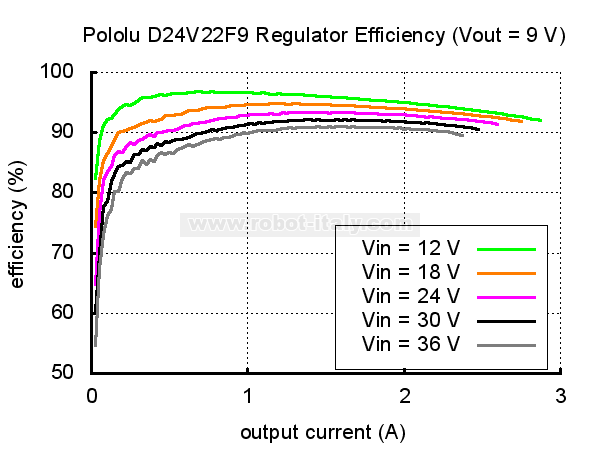 The ENABLE pin can be used to reduce the quiescent current to less than 10 μA per volt on VIN. 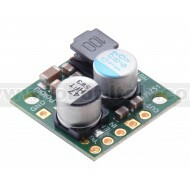 The Pololu Pushbutton Power Switches are sophisticated power control alternatives to bulky mechanical switches.